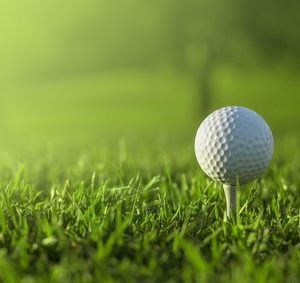 With the warm weather of summer, a lot of business owners find time (or would love to find time) to hit the golf course. Golf season always reminds me of a great analogy I heard from Frank Agin, owner of the business networking company AmSpirit. Frank explains that building and nurturing business relationships is a lot like playing a hole of golf. There is the initial meeting (the tee shot), then there are a variety of shots that lead to eventually putting the ball in the cup. Sometimes, it’s an easy shot from the middle of the fairway. Other times, it’s pitching out of a sand trap or hacking out of the rough. And of course, there are external factors that are out of your control, like wind, divots from previous players, and so on. What I love about Frank’s golf analogy is that it shows how relationships have a starting point and a goal, but the path in between is never perfectly predictable. You know where you’re trying to end up, but you must navigate your way there through unexpected variables. In fact, there are three ways that golf and business relationships are similar. Possibly more than any other sport, golf is a game of infinite variables. Played outdoors on a natural, organic surface (or surfaces, if you think about how fairways are different than roughs or greens) with shots of different length and complexity (sand traps, water hazards, dogleg turns, etc. ), golf presents players with challenges that are literally unique with every shot. Even if you could play the same course over and over and hit every shot exactly the same way, there would still be variables like wind that would change the outcome every time. This never-ending series of puzzles and surprises is one of the things that makes golf so appealing. It’s also one of the things that makes the sport similar to developing business relationships. While there are patterns that are similar from relationship to relationship, there are so many variables involved in any human interaction that it’s important to treat each interaction uniquely. These days, it’s an instant knee-jerk reaction to look at any process and immediately think of automating it. Sit with any consultant and discuss ways to scale up a business, and automation will come up as the first idea. But what we know from our work at Civilis Marketing is that human relationships can’t be automated. There can be a process for working to deepen them systematically over time, but that process cannot be turned over to a computer. We all get examples of this electronically every year on our birthday. Businesses that have attempted to automate their relationships with us as customers or prospects send out messages that are obviously automated. We all can tell they didn’t really take the time to think about us as individuals, and often the messages do more harm than good. I get one every year that literally has the subject line “Happy Birthday from Your Dentist.” I’ve been getting it for years. And the funny part is that it’s not even my current dentist. It’s from a dentist I used to go to. But let’s get back to golf. A process is defined as “a series of events that produce an outcome,” and the steps of moving a golf ball from tee to cup fit that definition. There is a process to playing golf. But with all the variables built into the game, it’s a process that can’t be automated. It takes a human to factor in the wind, the lie of the ball, and all the other things that must be considered before hitting each shot. It’s the same with business relationships. There are too many subtle and subjective variables involved in each interaction to be able to trust a computer (especially one with pre-programmed messages) to move the relationship forward. Both relationships and golf still require a human. Speaking of variables, there are so many in the typical golf shot that players spend much more time planning than they do actually playing. As with the carpentry proverb that says, “measure twice, cut once,” you’ll notice when watching the pros that they spend considerable time researching (consulting the yardage chart), examining (checking the wind and the lie of the ball), discussing (talking with their caddie), selecting (choosing the perfect club), and preparing (taking practice swings). Then, it’s all over in about twenty seconds—five seconds of golf swing and fifteen seconds of ball travel. A golfer that spends two minutes planning is investing six times as much time in preparation than he or she is in making the actual shot. But they know that the shot would not be successful without that prep. It’s the same with business relationships. To move a relationship forward, it’s important to take some time in between each interaction to examine where things are (the “lie of the ball”) and what the best steps are to continue progress from that point. I hope you get a chance to enjoy the warm weather of summer on the golf course and that you find ways to translate that success to your most critical business relationships. As always, let me know if I can help.